It’s a fun way to start the week. Every Monday morning I do a cooking segment on radio with Beth McDonald on 99.9 KEZ. Most of the time, it goes really well. Sometimes though, things go off the rails, like this week when I tripped and dumped my food all over the rug live on the radio. It used to be that you could get away with stuff. But now with streaming live on Facebook and Instagram, your faux pas are out there for the world to see. My point in telling you this is that I had a really great recipe that morning. Beth and I were discussing mayonnaise and how she loved it so much she used to eat it out of the jar with a spoon. So I brought in a couple of my favorite recipes using mayo. 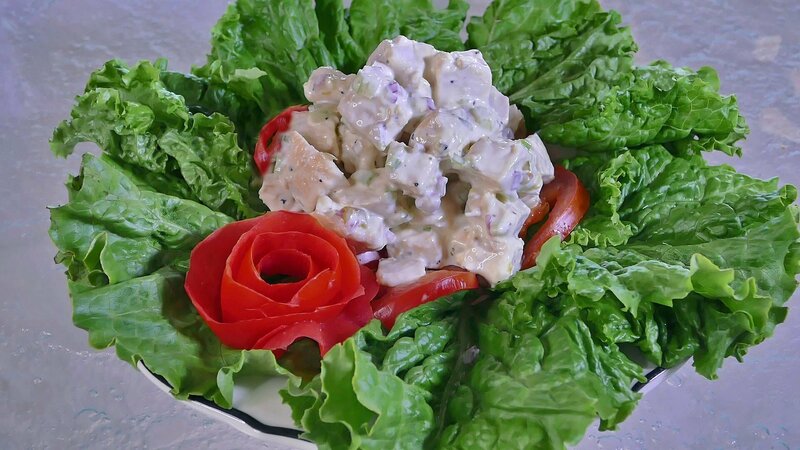 The first was a tuna salad sandwich that was quite a hit at my restaurants in Scottsdale. I’ve since created a variation using chopped cooked chicken breasts instead of tuna. The second recipe is a very simple Aioli that makes a wonderful dip. I hope you enjoy these recipes as much as I do, and if you want to have a laugh on me, check out the Beth & Friends & Food video on my Facebook page! Mash garlic and salt in small bowl until paste forms. Whisk in mayonnaise, olive oil, and lemon juice. Season to taste with salt and pepper. Can be made the day before. Cover and chill. For the sandwich: At the restaurant we used Orowheat Winter Wheat rolls or slices. The crunchy and hearty texture of this bread seemed to be the perfect complement to Lori’s Tuna Salad. For the salad: We combined chopped Romaine, finely diced fresh Roma tomatoes and small chunks of gourmet cheeses, blending in sweet balsamic vinaigrette. Over the bed of Romaine, we heaped a generous scoop of Lori’s Tuna Salad right over top.